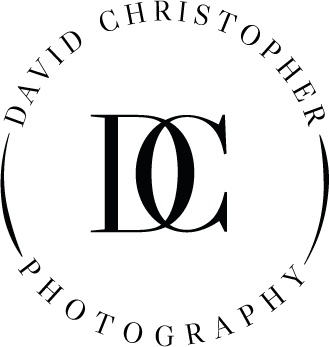 David Christopher is a London-based photographer, specialising in bridal fashion and wedding events internationally. David’s passion lies in transforming wedding photography through the art of powerful storytelling – resulting in stunning, timeless imagery. David was incredible. His pictures speak for themselves, and the way he made us (and our guests) feel comfortable and confident was what made him such a memorable part of our day. We would thoroughly recommend David. David was very professional yet friendly and made us feel very comfortable when photographing – even our friends and family said how brilliant he was. David captured the most amazing moments of our special day which we will cherish forever. I highly recommend him for his services and will use him again should I have another function. Thank you David, you are just amazing! We booked David for our wedding and it was pleasure to have him accompany us on our special day. He was courteous and professional and very respectful of our culture and traditions. He has great energy and got everyone involved and it really comes through on the photos. We used David and his wife Annie for our wedding at Hever Castle this year and they did such an amazing job. We picked David because his gallery of photos seemed to have an added quality over other recommended wedding photographers and we weren't disappointed with the results. They did amazingly well to cover so much of our day and produce such beautiful photographs given that we had to stick to a tight timescale. We are so thankful for their work and would recommend David (and Annie) to anyone looking for a photographer. Right from the beginning David put us at ease and went through all of our ideas with us on many occasions – nothing was too much trouble! On the day itself we and our guests hardly knew he was there and during our couple shots he directed us in a way that got the best out of us and made us feel completely comfortable. The album is incredible with a very high-quality finish and David provided expert advice and assistance when it came to choosing the photographs and layout. The photos are fabulous, we are lucky to have so many fantastic shots.